Here in South Carolina, Dr. Janice Ryan-Bohac has created unique product that could be a new green industry. 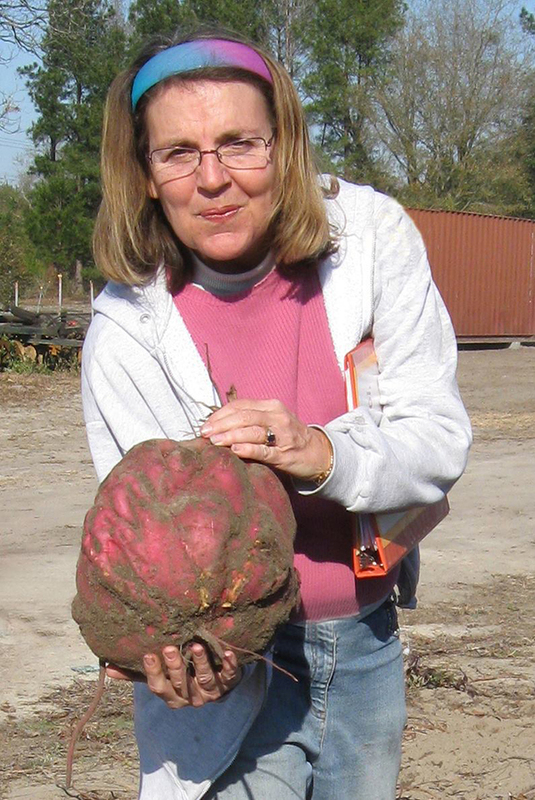 The Energy Tuber is a large sweetpotato, developed for its high yield, useful as a new source of biofuel. Leaves and vines are “high in protein and vitamins, and highly digestible”–good for animal feed, according to research cooperators at the University of Florida. The Energy Tuber also contains a valuable “white storage protein, with an amino acid complement similar to egg protein. This white, tasteless, odorless protein powder can be used like whey or soy protein, for sports drinks, baby formula, adult supplements, etc.” as stated on their Indiegogo campaign. Ethanol produced from the Energy Tuber can be used as a biofuel to replace gasoline, or to produce diesel and jet fuel using chemical or biological methods. More information can be seen on the CAREnergy website: http://www.carenergyinfo.com. Ethanol from the Energy Tuber can produce diesel and jet fuel. The Charleston Regional Business Journal reported on Nov. 2, 2016 that CAREnergy is working with researchers who have a chemical process to turn ethanol into jet fuel. They also report: “Soybean can do about 70 gallons of diesel per acre, canola about 100, corn 300 to 400. My sweetpotato can do 1,800. We get the highest yield of any other carbohydrate feedstock in the temperate zone,” according to Dr. Janice Ryan-Bohac, President and Plant breeder at Carolina Advanced Renewable Energy. This is a product that could shift us away from destructive fossil fuels. The next step for CAREnergy is work with investors to build their first ethanol production plant. Marilyn Blizard, Project Coordinator, gave us the news of “CAREnergy’s Energy Tuber, an emerging Clean Energy Fuel technology for changing the world for the better.” Wonderful gifts at every donation level include 50 sweetpotato plants for your garden or 10lbs of vegetable sweetpotatoes for $150 donation. I believe this action will help to create a world with an economy that works for people and the planet. There is no time to waste getting the green economy underway. and tagged CAREnergy, d, Dr. Janice Ryan-Bohac, Marilyn Blizard. Bookmark the permalink. Post a comment or leave a trackback: Trackback URL. Your Delete Apathy showed up on my search engine as I Googled our CAREnergy Facebook web site – a most welcome surprise. This gift of yours to offer the CAREnergy story to your fold is most special of you to do. Sincere thanks Mary Edna & Celie!